Celebrate with love and good food! The Holiday season is upon us again—time to celebrate with those we love, share a good meal and toast to the new year ahead. That’s exactly what we offer at Taverne F during the holidays! And as a special gift, we have prepared group menus to send your taste buds to Portugal with flavours abound! During the holidays (and after), bring in your group to savour our pesticos at festive prices: just $50 per person* for the evening menu and $35 per person* for the lunchtime menu! No matter which option you choose to discover the flavours and aromas of Portugal—individual servings or to share—you can be sure you’ll enjoy the warmth of the country in every bite! 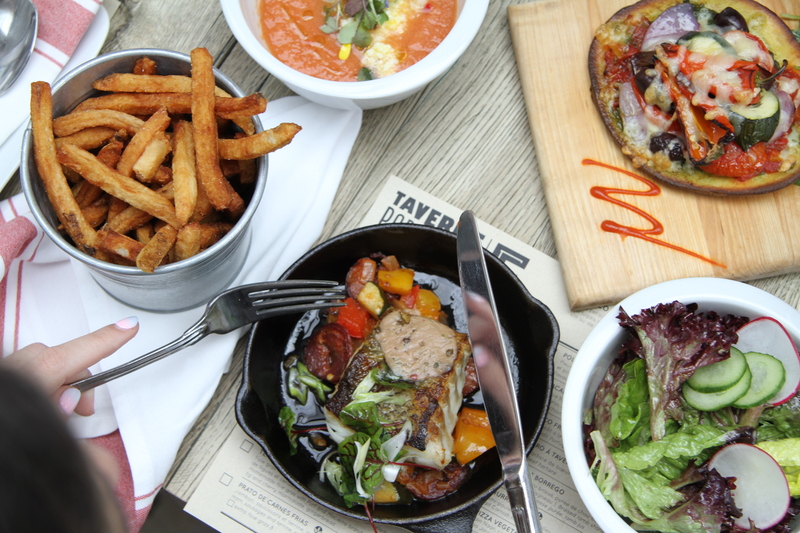 So dare to venture into something different, and join us this year for your holiday gatherings or just for fun, because no place combines tradition and modern flavours like Taverne F.
Consult the menu. Once you do, we’re certain you’ll be unable to resist! So, when can we expect you and your group?